In the nutshell, we are a music blog that showcases the best in new music, in all genres. We also distribute a newsletter regularly, to our subscribed members, containing our posts for that given week. You too can subscribe on our homepage! 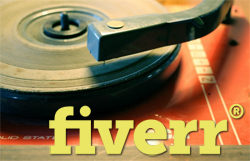 Exclusively through Fiverr.com (@VIPDJz) – we will post your music or video on this blog. While commercial radio is still a major format for breaking a record. Commercial radio is the last stronghold of the majors. Music blogs, streaming playlists and on-line magazines have become a portal for independent artists to break music without being played on the radio. Since 2013, more people use the internet to find new music than listen to the radio! It’s a fact that many hit records become a hit on-line, before we hear them on the Radio. Whereas years ago, a single would be “World Premiered” by a record breaking DJ, on a major radio station. Today labels and recording artists choose to world premiere music on popular blogs, digital commercials, YouTube or on social media. As of 2015, we have over one thousand music industry contacts subscribed to this blog, who have Opted-In to receive our newsletter.